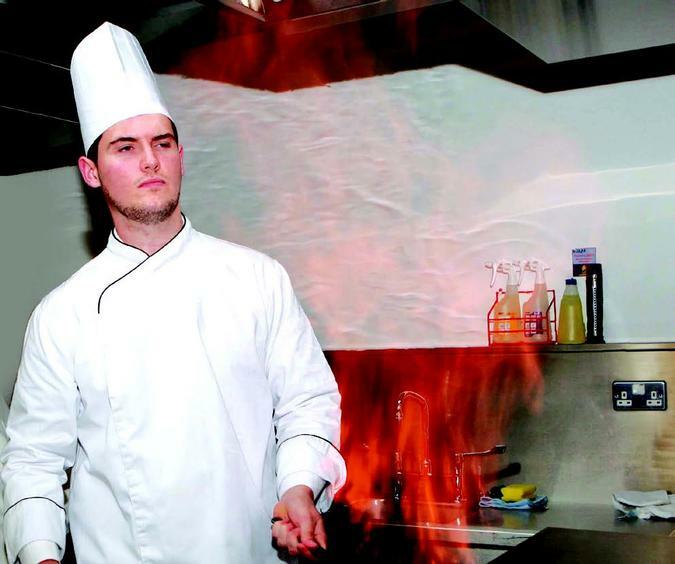 Harry Marquart, a 2nd year Culinary student in the Department of Tourism & Hospitality at CIT won the prestigious title of 'Head Chef 2011'. The TV series, fronted by international Michelin Star Chef, Conrad Gallagher, saw competitors taking master classes from Chef Gallagher, along with cooking in Conrads own restaurant and preparing a banquet for 60 people in the final. Harry was the youngest competitor in the competition at only 19 years of age. Conrad Gallagher set out to find a chef who was consistent, talented, professional and capable of working under the pressure of a top kitchen. Harry fought off serious competition during the series and at all times remained calm and composed. Adrian Gregan, Head of the Department of Tourism & Hospitality congratulated Harry on his achievement and made a special presentation to him to mark the ocassion. Asked about his future plans Harry commented "My ultimate goal is to open my own restaurant one day and get a Michelin star. That's my dream."